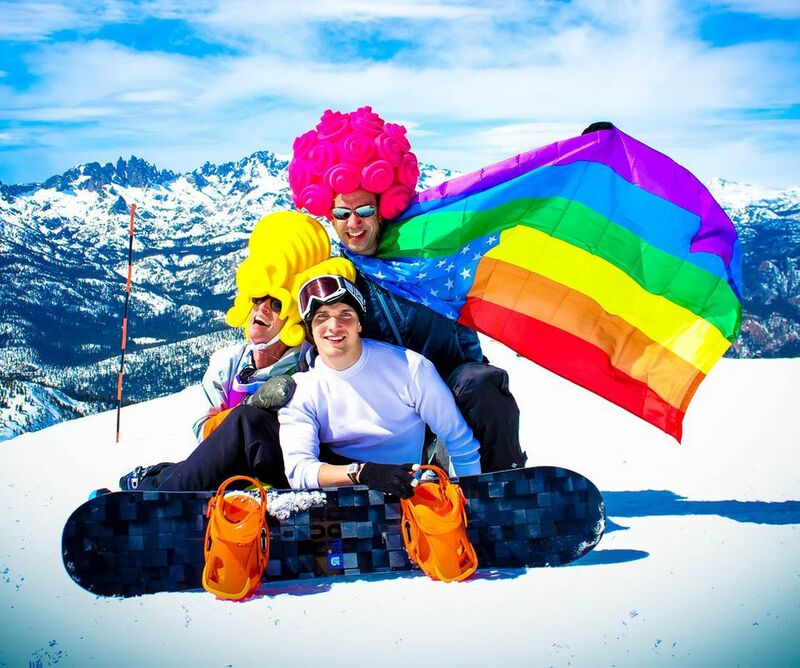 The legendary West Hollywood-based GLBT event promoter Tom Whitman Presents organizes one of the most glamorous gay ski parties in the country, Elevation Mammoth Gay Ski Week, which takes place in mid-March - this year's dates are March 15 to March 19, 2017. The event has been so successful that they now operate a sister event in mid- to late February (which takes place Feb. 23–26, 2017), Elevation Utah - Park City Gay Ski Week. Elevation Mammoth is especially popular with skiers from Southern California. The resort, Mammoth Lakes, is about three hours south of Lake Tahoe (and thus six to seven hours from San Francisco, depending on the weather). From Los Angeles, the drive is about 5.5 to 6 hours (assuming you don't hit super-snowy roads and lots of weekend traffic). Of course, you can also just fly into the region's small and handy Mammoth/Yosemite Airport, which has regularly scheduled service from San Francisco, Los Angeles, Burbank, and San Diego. The four-day weekend consists of a series of parties, beginning with a Welcome Event (which will take place this year at Lakanuki) on Wednesday. Then on Thursday through Saturday (plus a Sunday Apres-Ski party), the festivities continue with more fun starting after skiing in the late afternoon, and then continuing with late-night parties each evening. Top DJs are on hand hosting various parties, including, typically, a comedy night. You can buy tickets for Elevation Mammoth online, with several different packages available. Of course, there's also skiing each day at the exceptional Mammoth Mountain Ski Area, one of the West's snowiest locales (the average annual snowfall is more than 400 inches, and the mountain comprises some 3,500 acres of rugged and beautiful skiable terrain). Elevation is offering lodging deals at a number of local host hotels. These include Village at Mammoth, Westin Monache, Juniper Springs Resort, and Mammoth Mountain Inn.